Keeping the marriage fire alive is not always an easy task to accomplish. For some, the longer you stay longer in the relationship, the more challenging it becomes. There will be changes in the ways you treat one another, in the priorities you keep and in the goals you want to achieve. However, this does not mean that you will need to grow away from your partner. Take note that staying in love and married is a conscious effort for the couple. There are many ways you can maintain a healthy and loving relationship with your spouse. One of which is to read devotionals together. 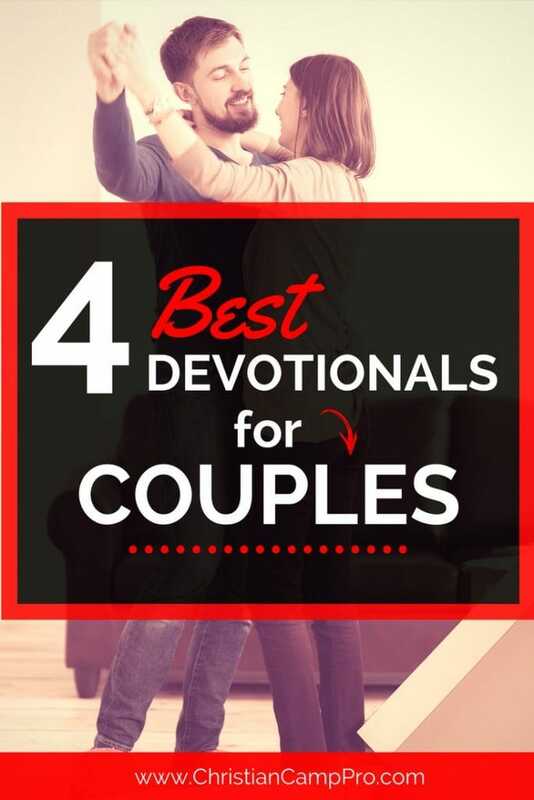 Here is the list of the 4 best devotionals for couples. The secret to a happy marriage is making sure that you and your spouse put God in the center of your relationship. Fortunately, this is easy to accomplish with the “Devotions for Dating Couples.” It contains short chapters that inspire you to build a more loving connection with God. The daily devotions will teach you how to become a great lover by learning to love God first. Moreover, it will help you realize what the essential aspects of your life that you need to focus are. View current pricing on Amazon. Bring the excitement back into your marriage by committing to follow the 52 weekly dares included in this devotional. Love is a choice, and this book will remind you how to make it happen. At the same time, it also has 365 devotional readings that you should read on a daily basis. View current pricing on Amazon. This devotional contains a fresh insight into how marriage works as well inspirational prayers to help you engage with God. Whether you are newly married or have been married for many years, this devotional is perfect for you. View current pricing on Amazon. This devotional has a different take on marriage. The author thinks that being married with the love of your life does not only make you happy. More than that, it also expands your souls and makes you holy. This devotional will allow you to look closer into your relationship with God after the marriage. It has 52 weekly devotions, which encourage couples to create the kind of relationship wherein building relationship with God is a top priority. Lastly, it shows how beautiful married life can be if you learn how to embrace God. This is one of the best devotionals for couples looking to connect on a higher spiritual level. View current pricing on Amazon.